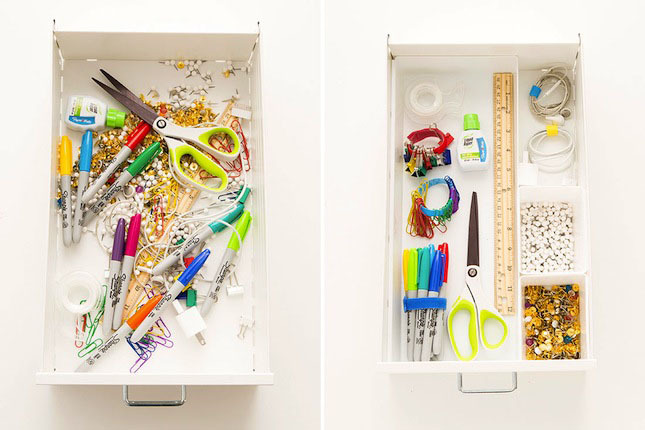 Admit it – you have a junk drawer. We do too! Who doesn’t? I mean really, what are you supposed to do with that weird shiny star garland you only used once but might, just might, hang up again for your best friend’s sister’s birthday? 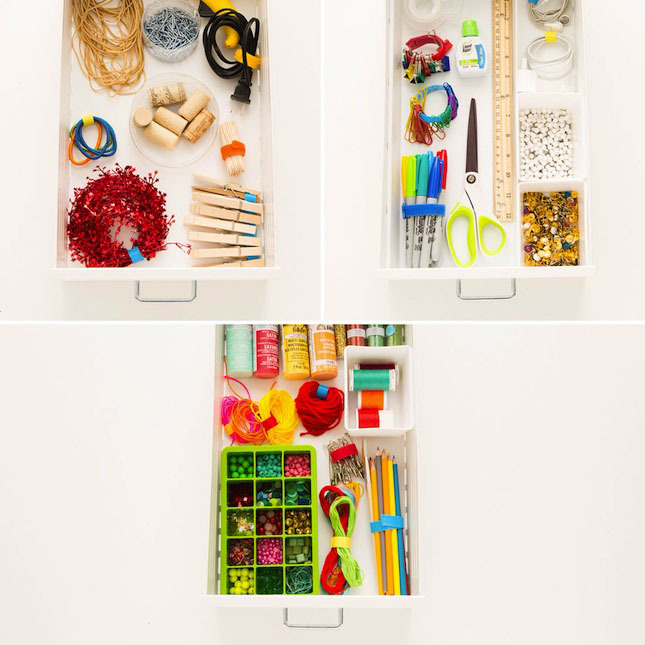 We’re ready to show you a few simple ways to spiff up three typically disorganized drawers: a classic junk drawer, a desk drawer, and a craft supplies drawer. 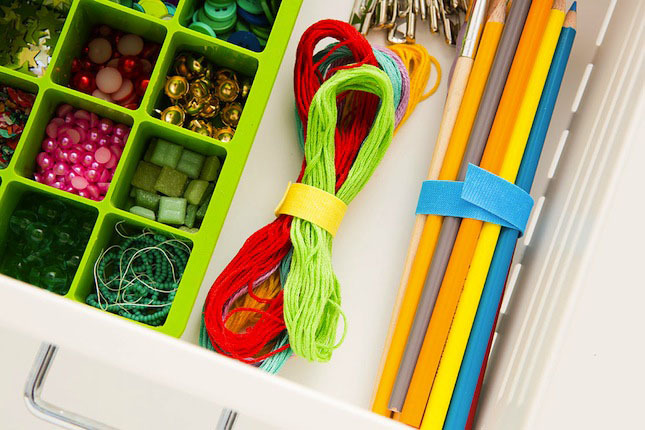 All you need to do for this easy organization project is cut a few pieces of VELCRO® Brand ONE-WRAP® Ties and wrap them around your junk… er, very important items. 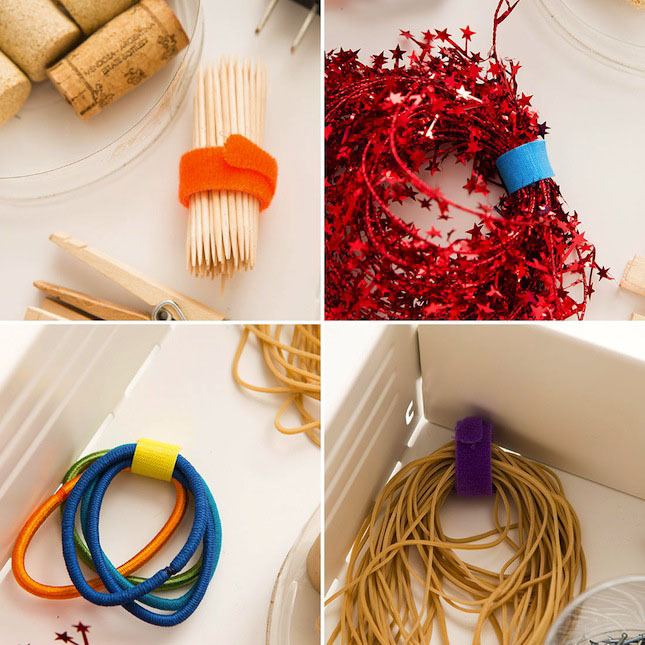 Here are a few ways we used these straps to tidy up our drawers. 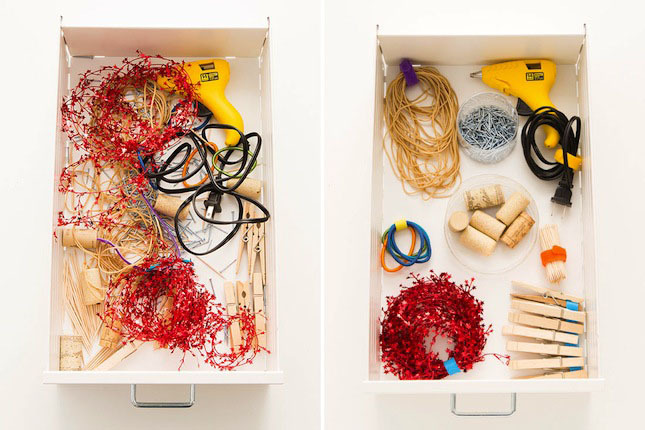 We spruced up a classic junk drawer filled with odds and ends by adding straps to the cord of a glue gun, rubber bands and hair ties, toothpicks, garland and clothes pins. What a mess! There are nails and toothpicks and wine corks in there that are in desperate need of our help. 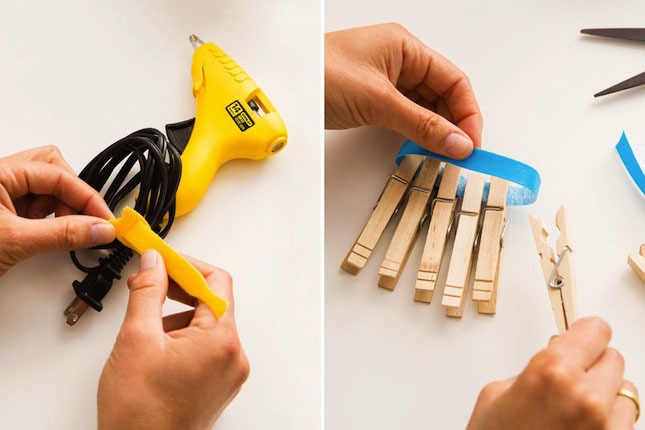 We tied our glue gun cord with a nice yellow strap and then pinned our clothes pins to a blue piece to keep them together. This looks SO much better. 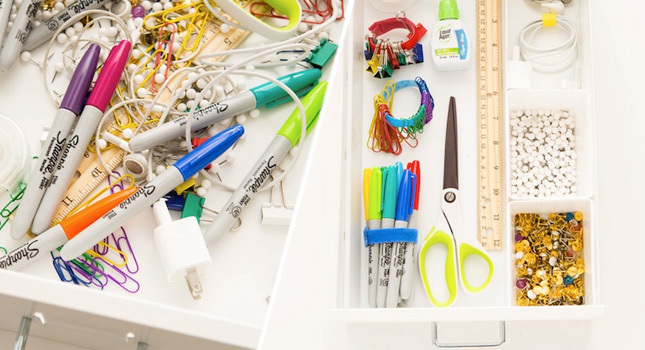 No more tangled mess in this junk drawer. 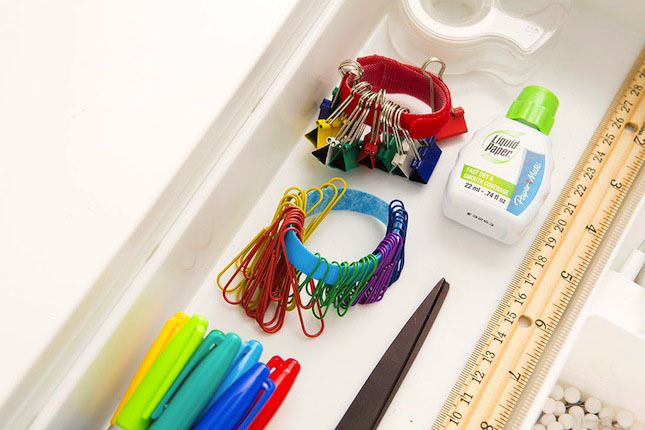 Desk drawers are always filled with tiny bits and pieces like paper clips and staples. No need to let them run wild when you can give them each a little home. And those cords! 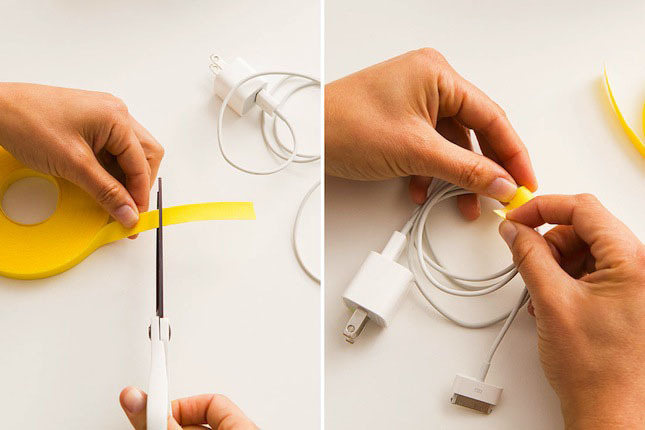 Wrap them up! So many loose pins! Don’t poke yourself. 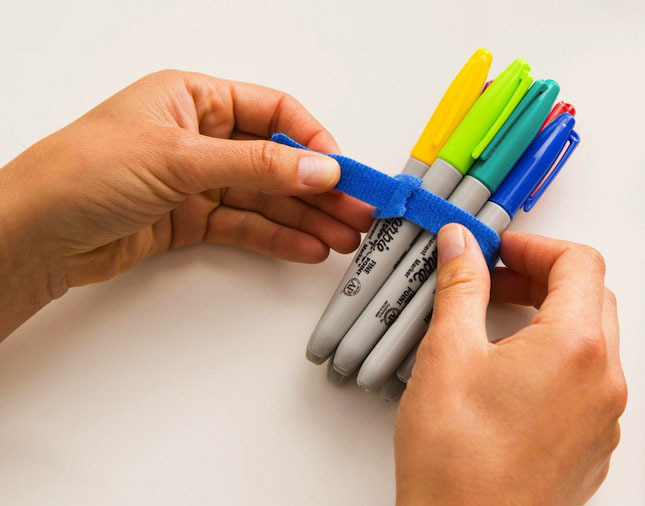 We held our Sharpies together to keep them in order. And we wrapped our cords! 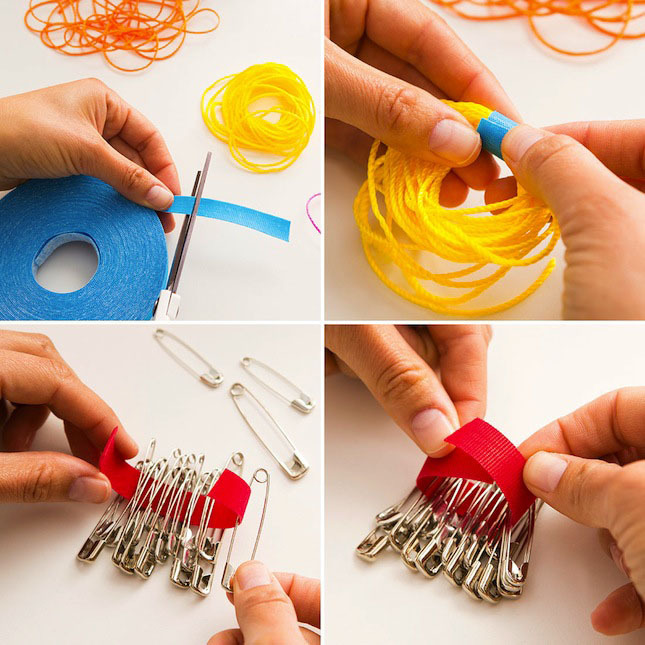 Now you can actually get a paper clip if you need one. 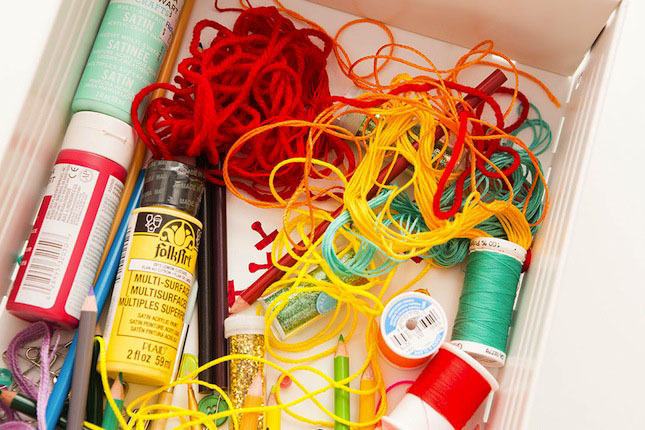 Our final drawer is for all your crafting supplies. 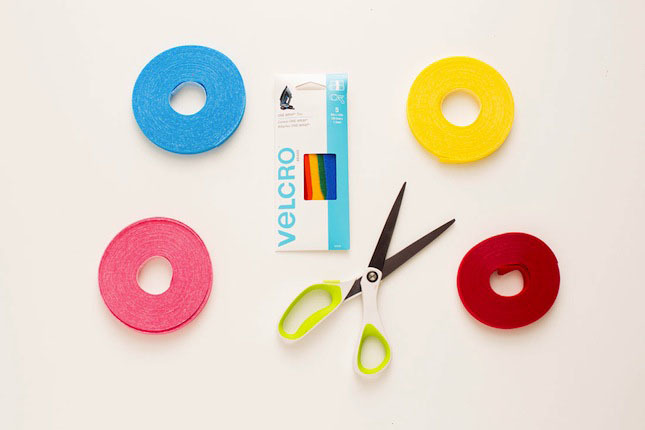 These materials can get a little unruly, so we’re going to whip them into shape. 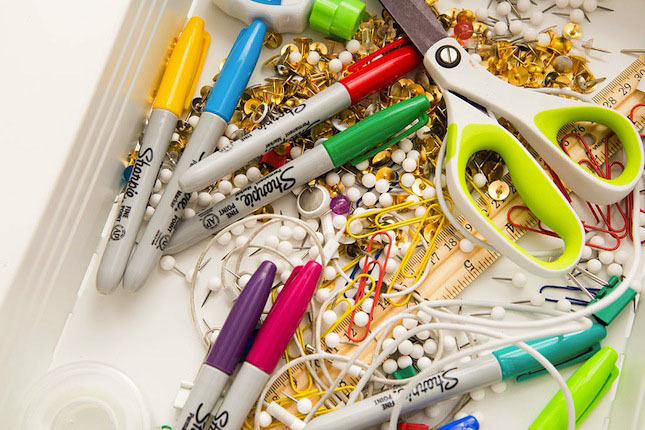 Sequins really don’t belong in the bottom of a drawer. We used an ice cube tray to organize all of the teeny tiny goodies. We have a lot of rope and thread that can easily get tangled, so we wound them up and used a strap to prevent them from unraveling. It worked like a charm. Then we placed our safety pins on a nice red loop. That’s it! 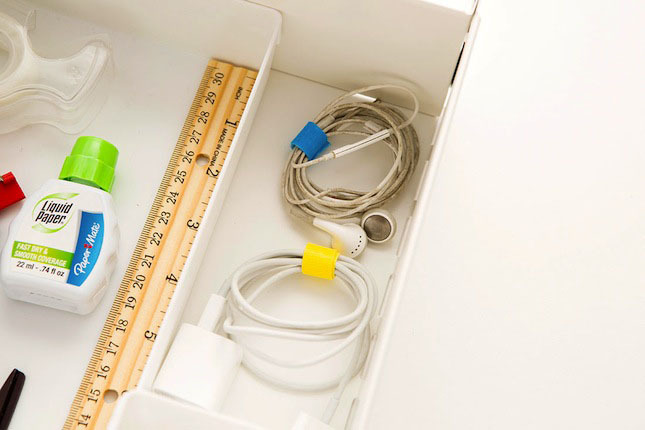 Our drawers are officially clean. 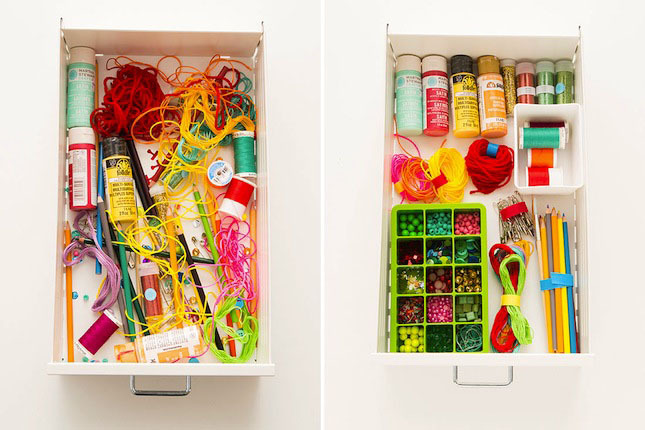 Now go forth and organize your junk drawers!